Halfway through their summer tour with Train, Daryl Hall and John Oates delivered the sort of hits-packed show Thursday they have been delivering the last few years as they make their way around the country in the warmer months. That the concert was held in Madison Square Garden, which was packed to the rafters, and continues to venues such as Nashville’s Bridgestone Arena and The Forum in L.A., speaks volumes about the lasting qualities of their music and the significant vocal talents of the two men. The duo, the best-selling ever, are peaking commercially as a touring act. That was unfathomable a decade ago. Amazingly, in the 10 years since their electrifying set at The Troubadour that resulted in a live album and DVD, they’ve been piling up the accolades from peers, young musicians and a growing fan base that crosses generation and demographics; it has led to larger venues, more cities on each trek and an introduction before each show as Rock and Roll Hall of Famers. 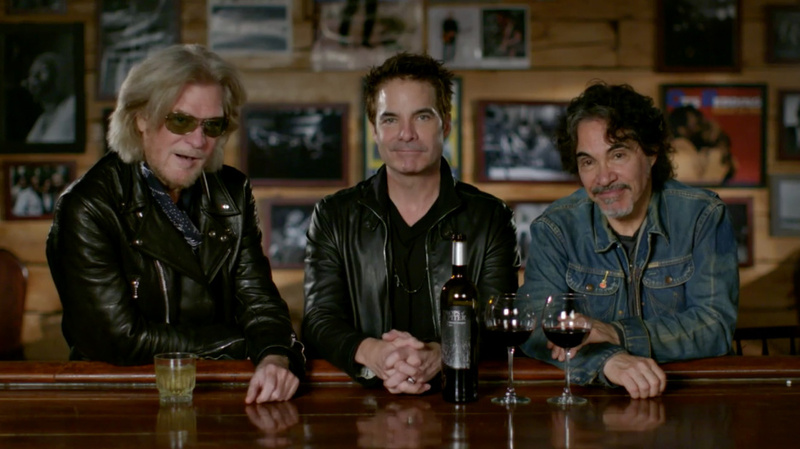 Just think, 11 years ago, Daryl Hall was focusing his efforts into bringing little-known newcomers and old friends to his studio in upstate New York to film a web series while doing the occasional weekend show with Oates in markets that were usually secondary and tertiary. The web series, Live From Daryl’s House, which became a syndicated TV show, revealed what fans have long known: Hall is one of the most gifted vocalists of the rock & roll era. Now, at 71, his voice retains the expressiveness of his youth as he passionately rips through the classics “She’s Gone,” “I Can't Go For That (No Can Do)” and “You Make My Dreams” with no sense of nostalgic yearning. The songs may be played on oldies radio, but the live interpretations are fresh and urgent. They do this despite keeping a good three-quarters of the songs locked-in to their recorded versions, using the rest as launch-pads for solos, extended group interplay and, during the finale of “Private Eyes,” a lengthy sing-along. None of it is excessive, merely a reinforcement of how solid Daryl Hall and John Oates have been as live performers for nearly five decades. They have a new record, “Philly Forget Me Not”, recorded with Train, and Train frontman Pat Monahan joined Hall and Oates for three songs late in the set, the new one, “Wait for Me” and “Calling All Angels.” Bringing the talents together gives the show a distinct 2018 air—it would have been a delight to hear Tears For Fears with them during last year’s joint tour—but you can easily guess which vocalist out-sang the other. He can still wail—“Babe, I’m Gonna Leave You” rises seamlessly from the guttural to the ethereal—though he mostly works from the center of a song and works his way out rather than starting from the fringes as so many Led Zeppelin songs do. Songs in the set from his stellar Nonesuch release from last year, Carry Fire, and its predecessor lullaby and…The Ceaseless Roar reinforce Plant’s position as a vital innovator. The evidence is in the polyrhythms underneath the welcoming melodies of “The May Queen” and “Carry Fire’”; the Chuck Berry-reduced-to-a-molten flow “Turn It Up”; and the early ‘60s R&B-Celtic rhythm mashup of “Rainbow.” Plant’s tour stops at Arroyo Seco Weekend on 6/24. Daryl Hall and John Oates and Led Zeppelin had little in common in the 1970s. Today, though, they stand of beacons of rock & roll styles many fear will disappear from the mainstream. While there’s little doubt their songs stand up to tests of time, it’s amazing and gratifying to find the artists standing up so brilliantly as well.